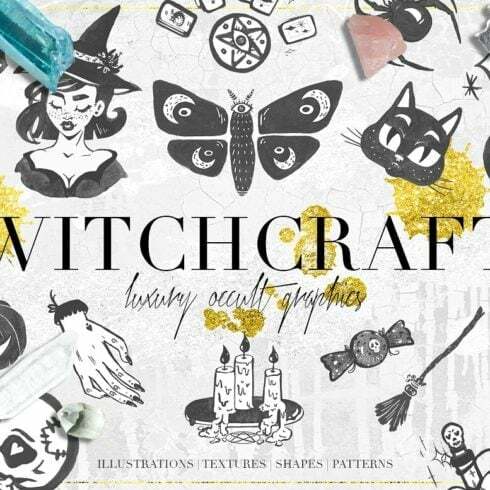 LUXURY WITCHCRAFT & MAGIC GRAPHICS – This collection is full of different hand painted funny magic illustrations, seamless patterns, ink shapes, and textures! 109 graphic elements total inside! Strong and classic black and white style look perfect with any other color combinations and luxury textures! This pack is full of fresh graphics & ideas for your projects! 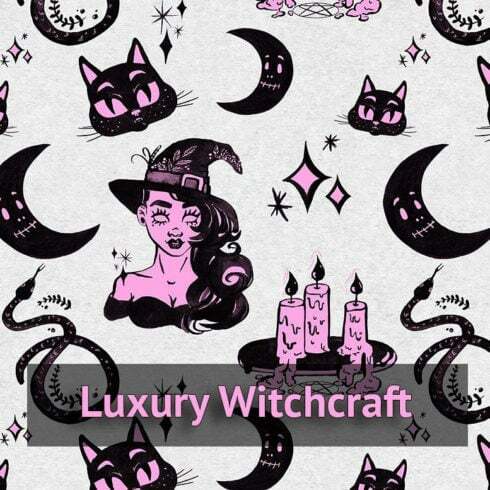 Immerse in the shadows with witches, vampires, skeletons, ghosts, black cats, pumpkins, witchcraft tools, mermaids, demons, bats, gnomes, occult rituals and many more! Can an artist sketch any graphic from the begining? Generally, yes. Should he? But for the most objectives, it may well require too much effort and is not going to produce sufficient profit for him. That’s the reason almost all the graphic designers make use of pre-made graphics components – incorporate these graphic components, adjust them and create the design with them. Nobody is going to buy all those components as a stand alone, so that is the reason why they are put into graphic bundles and marketed as a single product. There’s a way to make the MasterBundles products cheaper. Yeah, I do know bundles are already cheap, but there’s still some place for saving. If you will share this web page in social networks – you automatically get the 5% discount for every of the graphic bundles you like. That is a quite simple way of getting a professionally designed tools cheaper. The selections of components accumulated into a graphics bundle are usually categorized based on their type and purpose. There can be packages with business card templates, mockups, wedding invitation templates, infographics and icons, etc. On top of that, you may also manage to find graphic packages particularly for Christmas, Halloween or St. Valentine’s Day. The pros of graphic bundles for designers are quite obvious. However if you are new to those elements and still have concerns, the subsequent info will be of great help for you. Along with a large number of the components within a single pack, the selection gives you an opportunity to use different of them for a number of tasks. On top of that, the cost is typically cut down tremendously which lets you save some money, yet receive the entire set worth hundreds or thousands of dollars. MasterBundles.com could offer you a large variety of unique products. MasterBundles.com sells not just graphics bundles but also about 20 other different types of items. Fonts, WordPress themes, mockups, icons, photos, illustrations, presentation templates and a whole lot more – on the MasterBundles.com it’s possible to locate all the products and solutions, essential for a design project creation. The designers who like to work with photos are going to be particularly happy with the photo overlays graphic offers. These packages include multiple design elements that could decorate and customize the images. This type of decorative elements can be laid over the photos to produce some fresh look. 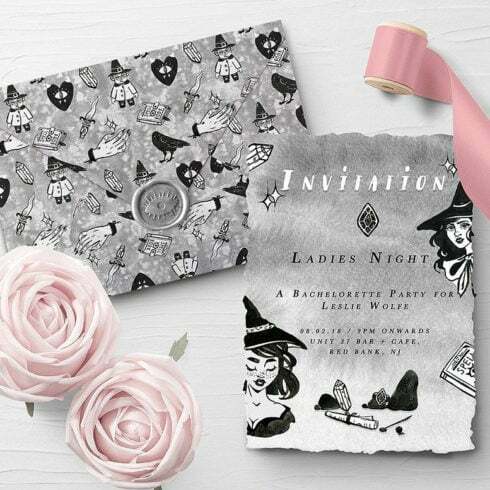 The watercolor package is believed to be the prettiest novelty in design. Handcrafted by designers on the paper, the images get digitized and added in a package as design templates for projects. Watercolor elements are excellent for posters, blogs, wedding invitations, DIY and greeting cards. All images are hi-def and prepared for print or use digitally. Living in the online era, many of us commit half our lives within social platforms like Instagram. Whatever objective we attempt to reach on this platform, we want to stand out in a giant crowd among a large number of identical profiles. The good news is, with top quality Instagram templates offered by MasterBundles, you don’t need to devote eternity while creating the outstanding appearance of your Instagram page. Articles on websites which come with infographics tend to be more legible than those that don’t. A professional bundle for infographics is handy given it provides an almost ready-made solution. The artist has only to combine the illustrations and voila! MasterBundles is a website that accumulates top rated deals from over the web and allows you to buy the elements you need in your business for a lower price. Packages this fabulous website sells are limited in time, and that’s the answer why they are so inexpensive. MasterBundles boasts a great blog with the useful design features described.